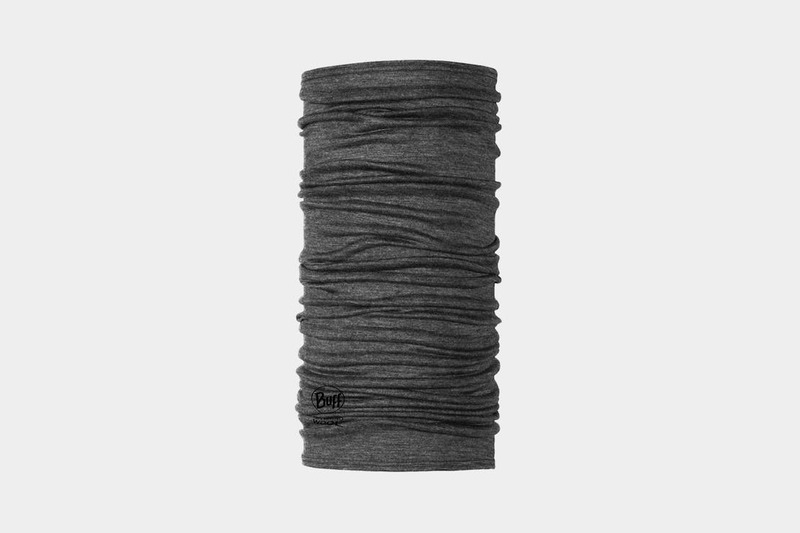 Whether you’re traveling in the desert or staying warm on a cold winter’s evening, this one piece of merino wool headwear from Buff USA will rule them all. When you travel, every item you decide to carry has to be truly functional. None of that packing clothes you’ve owned for months but haven’t even taken the tags off yet business. We put the Buff Lightweight Merino Wool Multifunctional Headwear to the test because we love items that can serve more than one purpose. The Buff serves many functions and the company has a demo video of the different ways you can use it. You can use it as a scarf, face mask or beanie to keep warm in cold climates. It also works as a great hair headband in the heat. Or if you want to wear it like a ninja mask or a pirate bandana, you can totally do that too. No judgment here. This is one of the lightest and most compact ways to stay warm, weighing just 1.6 ounces. For context, a slice of bread weighs about 1 ounce. Carrying something with the weight of 1.6 slices of bread is going to be a lot easier than lugging a scarf around. It comes in a huge range of colors too (but we’re partial to the darker ones). Through all our travels, we discovered that the Buff can also double as a sleep mask—especially the darker colors that block the light well. 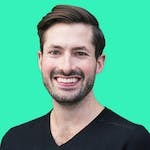 So when you’re on a plane, waiting for your flight, or stuck in an Airbnb where the light floods into your room in the morning, you won’t lose a wink of sleep. Maybe keep a hold of your carry on as you nap in the terminal though, just in case. 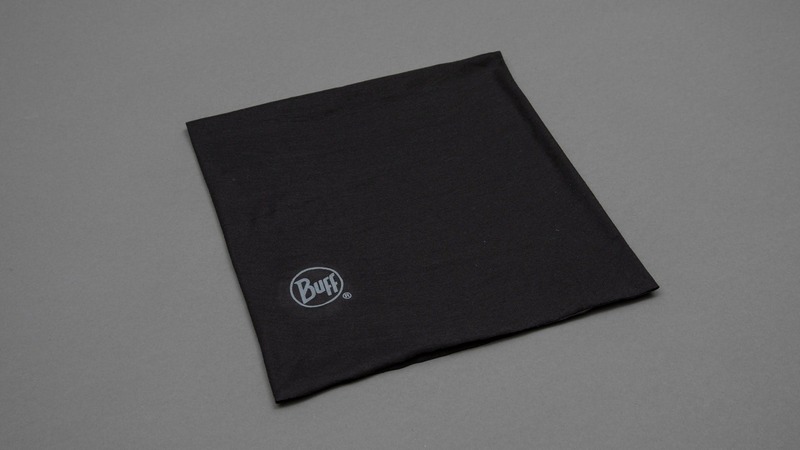 There are polyester versions of the Buff but we’d recommend shelling out a bit more for the wool version. It’s Merino wool so it’s super soft and doesn’t retain odors. In other words, you don’t have to wash it very often. If you do have to wash it, or you get it wet while you’re out, it does dry very quickly. It actually has natural moisture wicking properties which are incredibly helpful if you’re out hiking or snowboarding. No one likes a wet, sweaty scarf. It’s very soft to the touch right out of the package. After testing all of the configurations we’ve gotten the most use out of the scarf in colder weather. Still going great. This thing is pretty much invisible inside your pack. It’s easy to forget it’s even there, especially in hotter climates. Noticed a very slight pilling on the wool but nothing major. Still holding up surprisingly well. The amount of pilling is pretty much the same as it was one year ago—very minor. Keeps you surprisingly warm in cold climates without taking up much space in your pack. Merino wool is super soft. The wool doesn’t retain odors so you won’t have to wash this very often. When you do though, it dries quickly. After nine months of use, the wool BUFF started pilling. Doesn’t do as good of a job of blocking light and fitting your face as a dedicated eye mask which isn’t the product’s intention anyways. We prefer the Merino wool version to the polyester one but the wool version does come with a higher price. Weighing in at just 1.6 ounces, this is one of the most lightweight ways to stay warm when traveling in colder climates. It’s soft, comfy, and incredibly versatile.